Note: The Author calls the sequel a companion novel but to me, a companion novel is the original story told from an alternate POV. As such, I label it as a connected sequel or a spin-off. I won this book through a contest on Lola’s Hit Or Miss blog and immediately loved the cover. I wasn’t planning on reading it until late August, but the cover kept popping up everywhere and I was eager to try reading a Western novel–something I had never experienced before–so I decided to post-pone some books and bump this one up to the top. I was speaking like a prospector by the end of this one! From the language used to the descriptions of the setting itself: I really felt like I was in the Wild West. It has all the “stereotypical” aspects of the Wild West but is grounded in a realism that shows Erin Bowman did her research. I was really impressed with how the world-building came together in this story and it easily drew me in! Normally, I’m not one for adventure stories. I find they drag and if I don’t like the leads, my attention wanes. That isn’t the case with this story! Part of it is because of the heroine (more below) and the other part is that this story never lags. We aren’t left in the Arizonian desert stewing for the next exciting thing because plot twists are happening every few pages. It builds up the excitement and keeps the pages turning. I really didn’t know how things were going to end. I had my theories but I was definitely surprised by some of the events that happened, thus the 5/5 because I loved that! Can Kate be my new BFF? That would be great thanks! She reminds me a lot of Scarlet from A C Gaughin’s Scarlet Trilogy: one kickass, let’s get-er-done heroine who takes no attitude from no one. I loved her by the end of chapter one and rooted for her the entire way. Definitely a new favourite heroine for me! As for the rest of the cast, they are great! While they fill your typical Western roles, they each have their own unique quirks that made it so enjoyable to read. Overall, a solid cast that does their job perfectly. This isn’t a straight forward romance as the romance takes a backseat to the revenge-adventure plot. 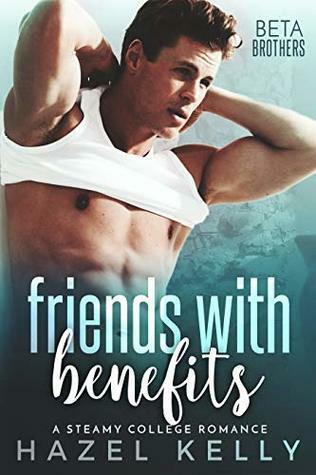 There is enough to satisfy the romantic reader (I’m a huge romance junkie and I was more than happy) and when it is there, it helps keep the plot moving–it doesn’t overshadow it and its great! I would say Retribution Rails was one of my most anticipated reads of 2017. Unfortunately, it took me forever to get to it thanks to life and my mom (I let her read it first), but thankfully, I was able to renew my library copy enough times to get to it myself. It took me a while to get into this one. I’m not sure why because I loved both leads and their stories. I think it just took a little bit to get the plot in motion for me. I wasn’t as into it as its predecessor (which I couldn’t put down) and I’m not sure why. It wasn’t like this book was predictable–it went in directions I didn’t even fathom. I think it was just the different style this book took. The revenge plot needed to brew instead of being the main drive like it was in the first book. The characters get a little more time to develop and make mistakes. And the romance is very subtle and goes unnoticed. But the last third of this book was awesome! It had that faster, thrilling pace to it that reminded me of Vengeance Road and I enjoyed that a lot. I loved the Western setting, the AMAZINGLY strong heroines (and later hero) and the plot! Hey! It’s been so long! I remember sending you that package! So happy to hear you loved the book. You know after reading that book – which was my first Western one – I just realized that I don’t like books set in the desert or desert-ish locations. Holes was ”okay”, but that’s the only one I can recall somewhat enjoying. Wonderful series review!! You know, I loved Vengeance Road so much I picked up Walk on Earth a Stranger because a few people said they liked it better and I couldn’t stand it! So I know what you mean. For me, it’s the adventure aspect that’s usually in desert novels that stops me from fully enjoying them. I find adventure reads a little slow.